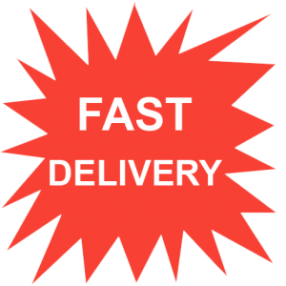 Need to Ship Something From Showplace Antique Center? Call Us for Immediate Help! As one of the leading art shipping companies in New York, Fine Art Shippers has extensive experience in packing, crating, handling, and transporting art pieces to and from the renowned Showplace Antique Center. In particular, we pick up artworks from different art dealers and stores, pack and build custom wooden crates, provide same-day shipping and same-day delivery services within the New York metro area, and more. We always strive to achieve the most competitive price while maintaining the highest quality of our fine art services. Moreover, our location right in the heart of New York City, very close to Showplace Antique Center, allows us to do everything very quickly and efficiently. As a result, Fine Art Shippers is a number one choice for many designers, art collectors, and retail customers looking to deliver their new acquisitions home. Over 80 dealers showcase a perfect mix of decorative items, antiques, accessories, furniture, fine art pieces, jewelry, and other collectibles on the 10,000 square foot emporium, and Fine Art Shippers proudly works with most of them. So if you don’t know how to ship furniture from Showplace Antique Center, we will be happy to help! If you are looking for the safest and most affordable way to transport an ancient vase, painting, or large sculpture, we will be happy to help you with that too! Overall, we can ship any artwork that you can buy at Showplace Antique Center! Please do not hesitate to contact Fine Art Shippers for consultation!